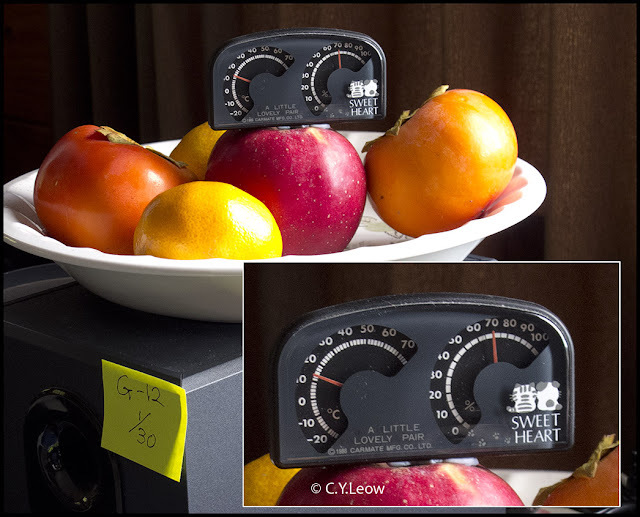 Man Behind Lens: OM-D E-M5 How Low (Slow) Can You Go? 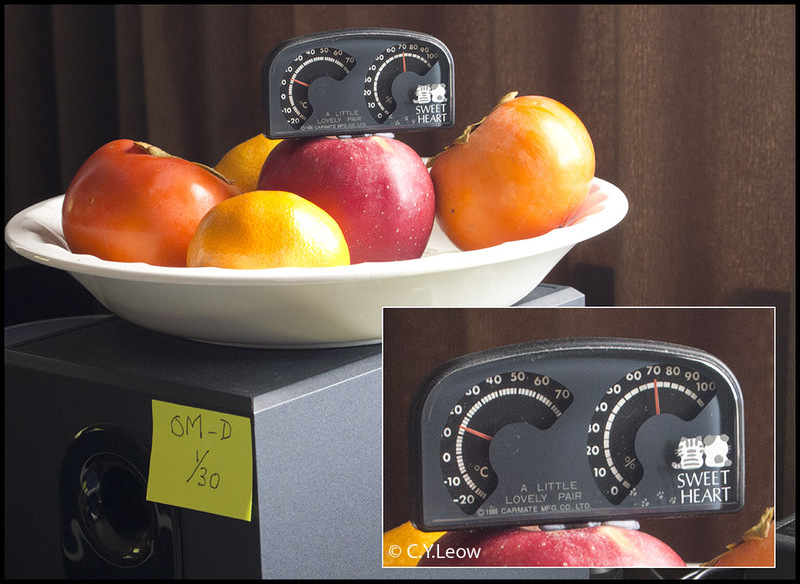 OM-D E-M5 How Low (Slow) Can You Go? 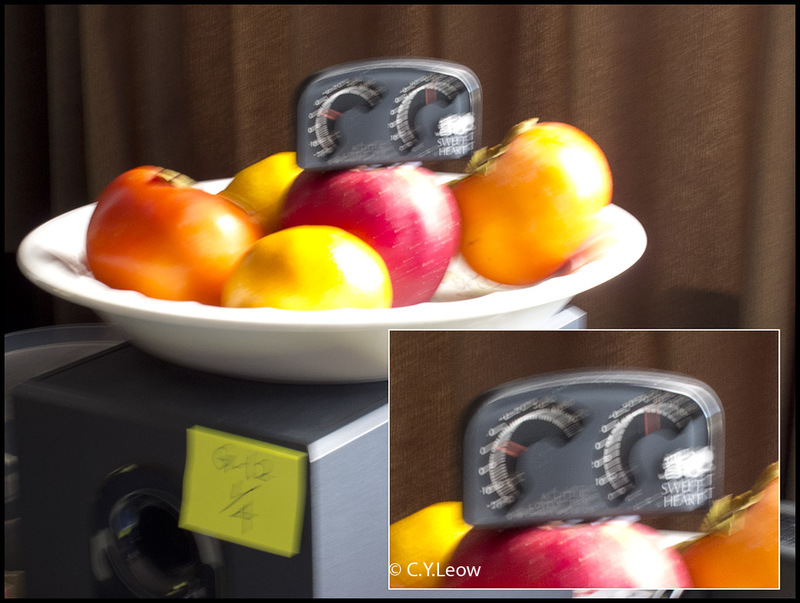 In my younger years, working as a photojournalist; I often encountered situations where I need to shoot at slow speed. I learn early how to hold my camera steady when shooting slow speed, how to stand; holding my breath, leaning on wall for support; to ensure my shots are sharp. With practice I was able to hand held shots as low as 1/8 of a second. 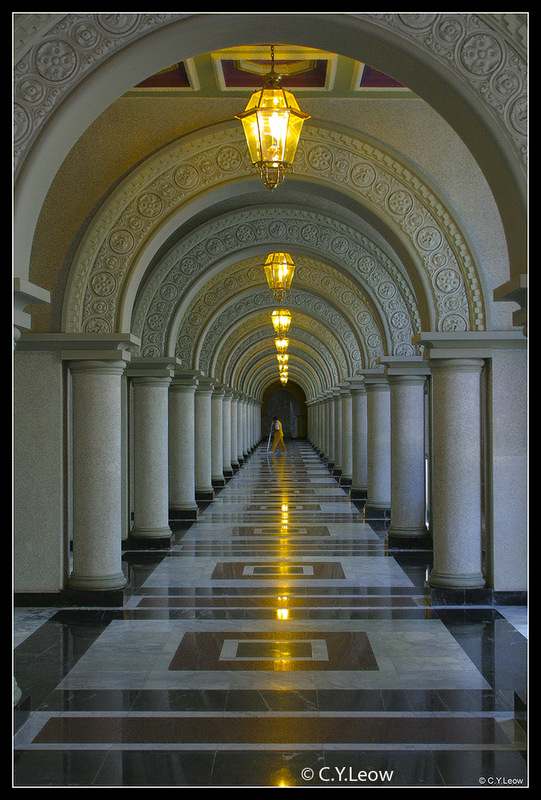 On the left, the majestic corridor of the Assumption University of Thailand was shot at a slowish 1/15 second. The trick to a sharp picture at slower speed is NOT to jab your shutter release! SQUEEZE the release down smoothly and only let loose your trigger finger AFTER you heard the shutter gone off. 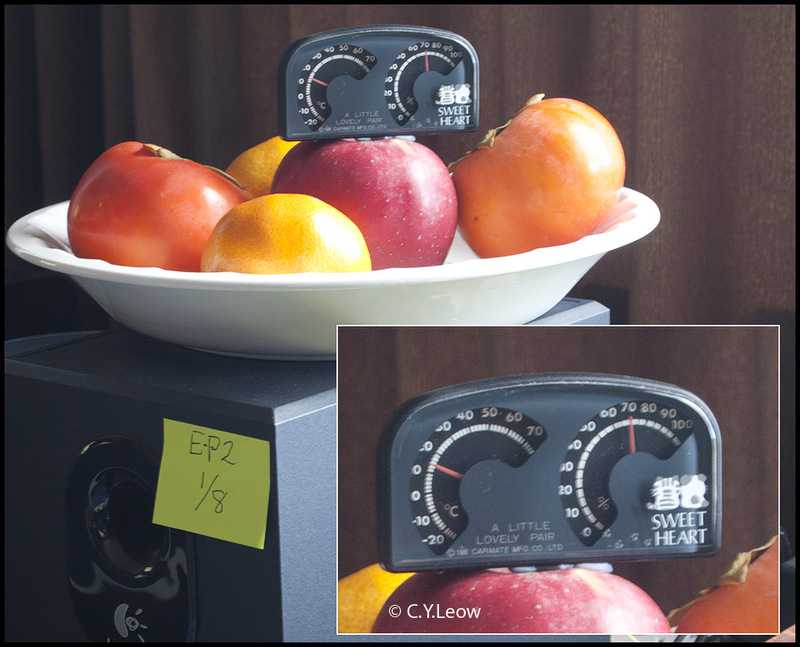 After 1/8 of a second, the longer exposures are impossible to achieve sharp, hand held pictures; you need a tripod or a monopod. 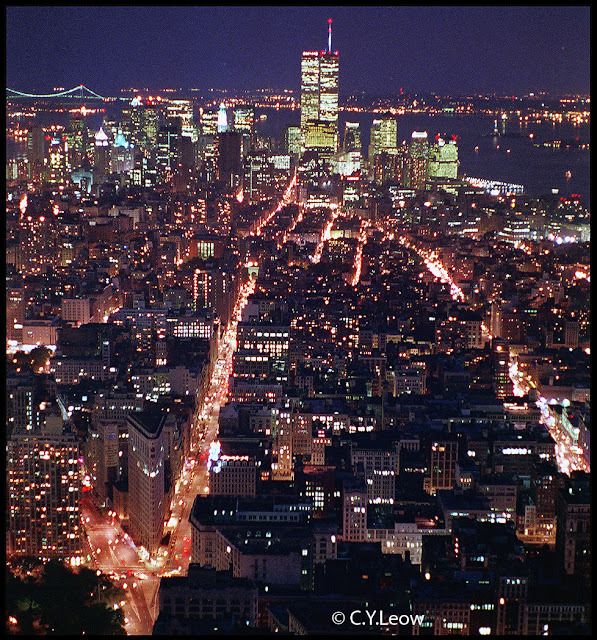 This 1994 night-scape of Manhattan, New York was shot from the top deck of the Empire State Building with my Leica M4-P mounted on a tripod. The exposure on the Kodak colour negative film was half a second (I think). Although the exposure was 1/20 second, a steady tripod was again used for this firework shot taken at Vancouver, Canada. 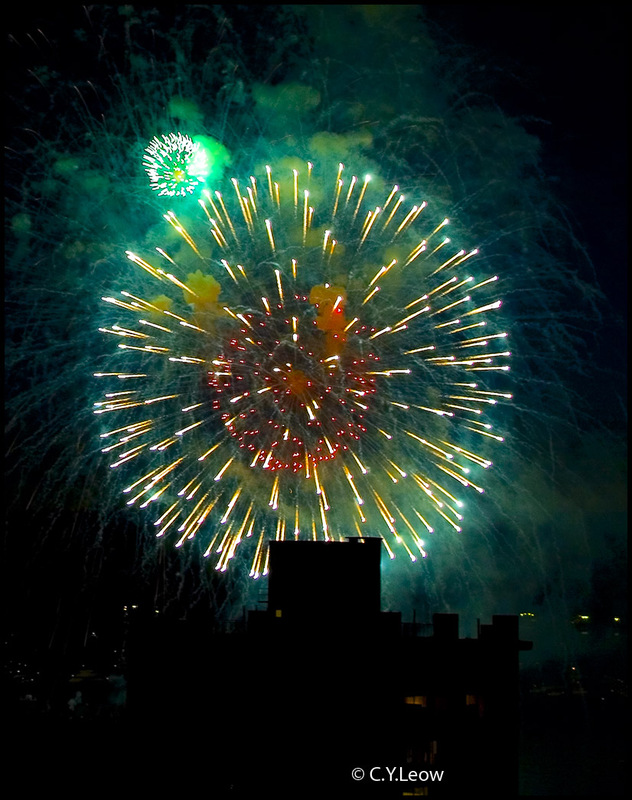 In situation where a tripod or monopod are not available or allowed, you will have to look for alternative! 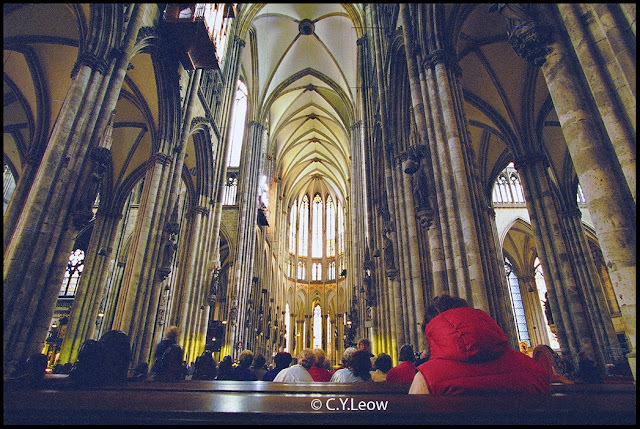 While visiting the majestic Dom in Cologne, Germany; I saw her bright red parka against the towering medieval columns. 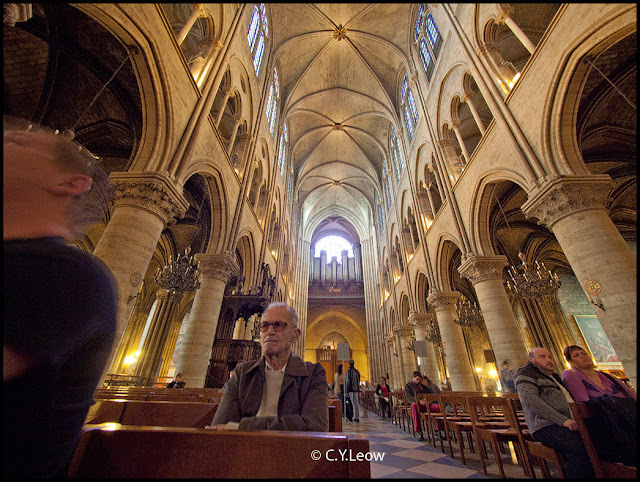 The light in the cathedral was really dim, so I rest my Canon EOS1n SLR on the pew for a "long" half second exposure. 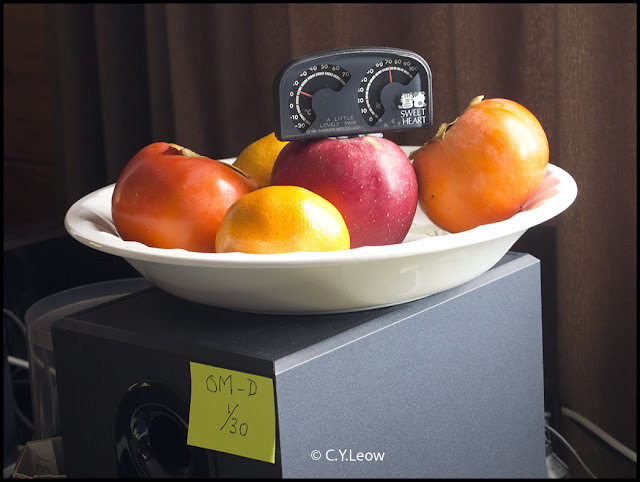 Due to it's mirrorless design, certain type of camera; like the range-finder Leica M series cameras are able to expose at slower shutter speeds than the SLRs. 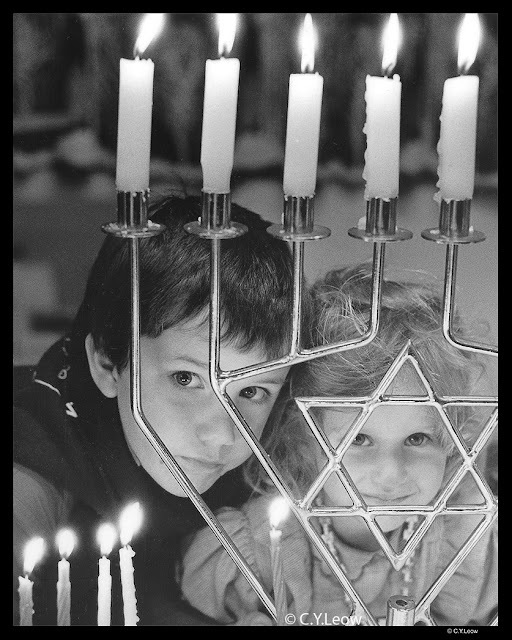 This published front page picture on a New Zealand paper was shot with a Leica M4-P, available candle light; at 1/15 second. 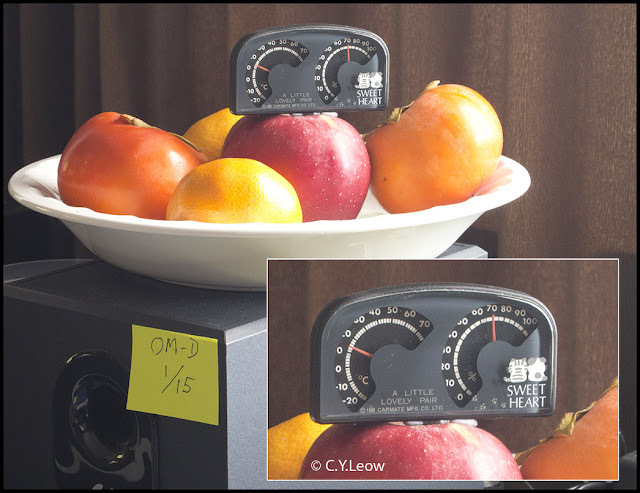 Many years ago I was told the rule of thumb to determine the slowest shutter speed possible for hand-holding without noticeable blur due to camera shake is to take the reciprocal of the 35mm equivalent focal length of the lens. For example, at a focal length of 135 mm on a 35mm camera, vibration or camera shake could affect sharpness if the shutter speed was slower than 1/125 second. Now you know that is not exactly true, with a little practice and care you can go much slower, how slow can you go? 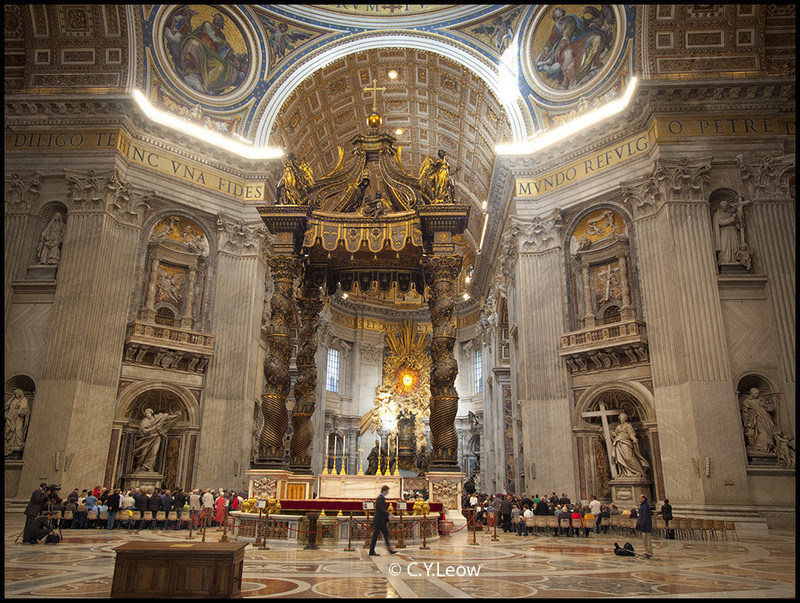 All those pictures shown above were taken with cameras and lenses that DO NOT have IMAGE STABILIZERS! Image stabilization (IS) is a family of techniques used to reduce blurring associated with the motion of a camera during exposure. 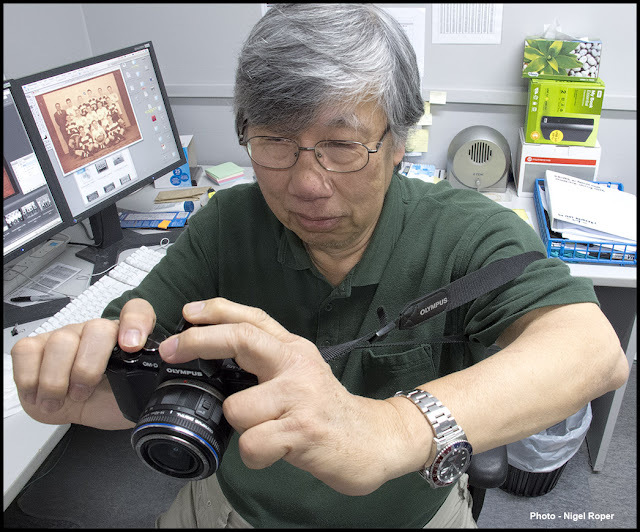 Specifically, it compensates for pan and tilt (angular movement, equivalent to yaw and pitch) of a camera or other imaging device. In this day and age, you will be hard press to find a camera or lens without some form of stabilization built-in! Since we are talking about the micro four thirds system (M4/3), lets just look at Panasonic and Olympus because I use both brand of lenses. 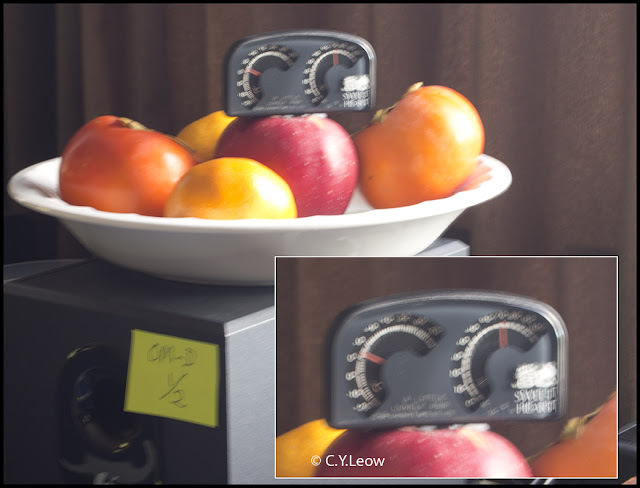 You should also realise that Panasonic prefer their IS in their lenses, but not all their optics have IS built in. 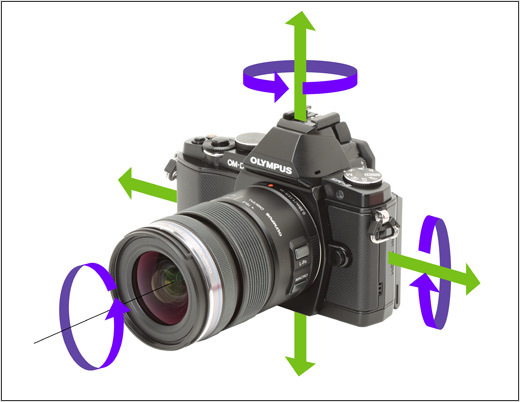 As for Olympus, they put their IS mechanism in the camera body; thus in practice, ALL lenses; Olympus or others, in theory; should benefit from the in body IS! My first hand experience of how effective the Olympus in-body-image-stabilizer (IBIS) was when we were on our Europe trip two years ago. My travel camera was my new Olympus E-P2 and the Panasonic Lumix G Vario 7-14 mm F4.0 ASPH ultra wide zoom. I was ecstatic the Olympus IBIS did wonder for the Panasonic lens! 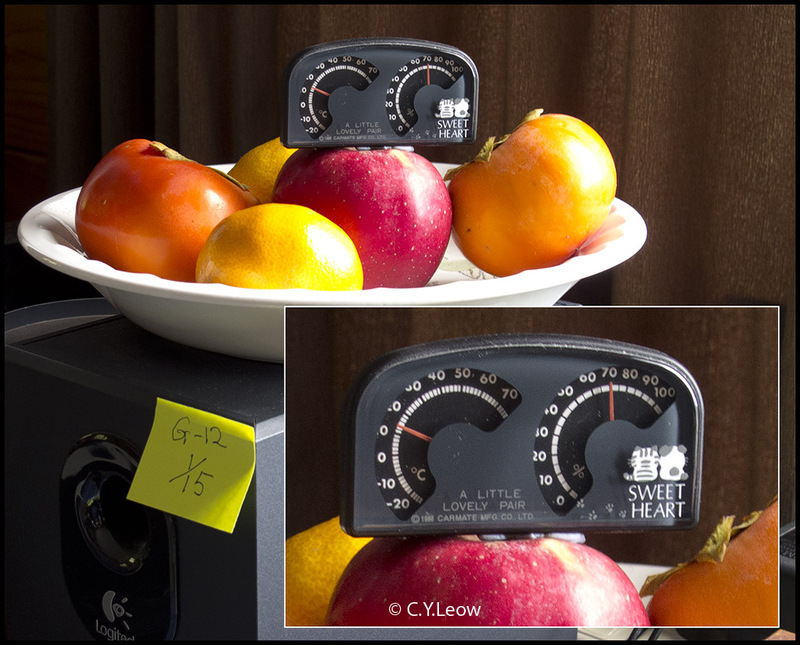 I was able to hand-held really slow for interior shots with hardly any camera shake! The inside of Notre Dame de Paris was shot with my E-P2 resting on the pew for 1.3 second (yes, MORE than a second!) at full f4, 7-14 Panasonic @ 7mm. World famous Sistine Chapel shot hand-held at 1/3 second, go to show how good the IBIS of the E-P2 is! 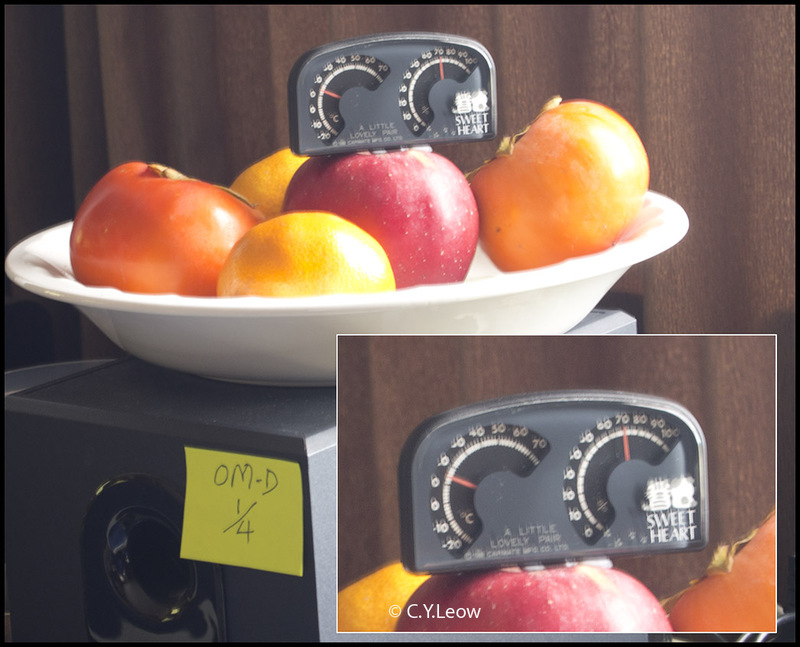 That was more than TWO YEARS ago and the E-P2 IS only compensate for the yaw and pitch, the 2 axis of camera movement; the new OM-D E-M5 boasts their brand new 5-axis image stabilization technology. This system compensates for both vertical and horizontal movement, while at the same time adjusting for rotational movements, along with pitch and yaw!! Movement the new IBIS in the OM-D able to compensate. Equipped with such advance anti shake technology the E-M5 should "out slow" the two year old E-P2? This I have to see! I did a simple test. 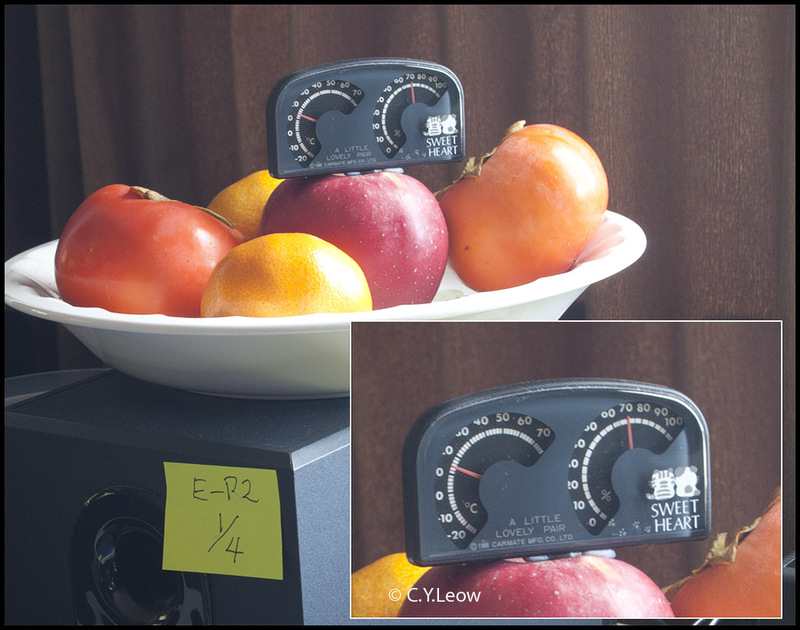 This is my simple test target, each test camera (G-12, E-P2 and E-M5) will shoot 5 shots of the target at shutter speeds from 1/30 down till the shot image gone blur. 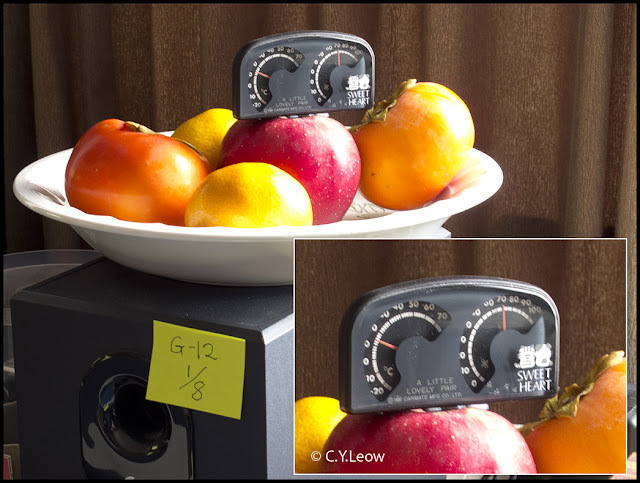 The G-12 from 1/30 to 1/4 second, the rugged Canon point and shoot managed to stay sharp till 1/15. Three of the 1/8 shots were blur and 1/4 second was just too much for this popular compact. It did very well never the less!! I was a bit surprised how well my 2 year plus E-P2 did! 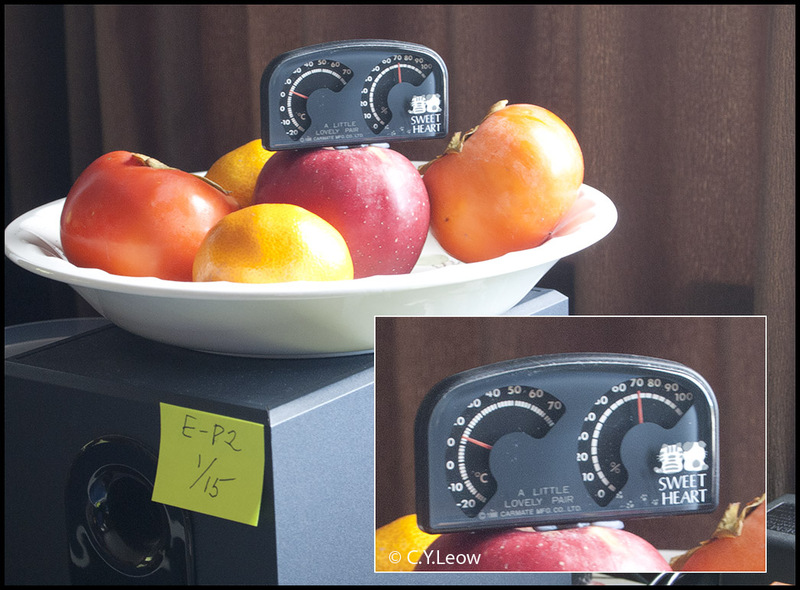 The slowest it can cope was 1/4 but 2 out of 5 of this exposures were out of whack. Not bad at all! Big brother OM-D did score better, BUT NOT BY MUCH! The 5 axes super duper stabilizer managed to calm the shake to 1/4 but 2 of the 5 shots were soft. At a really low HALF A SECOND hand held, the IBIS managed to part stabilized the long exposure! That was impressive!! All the shots on the OM-D were done with setting of IS-1 marked "Auto", I try out some shots on IS-3 which is specifically for HORIZONTAL shots and discovered I can get MORE sharper shots. 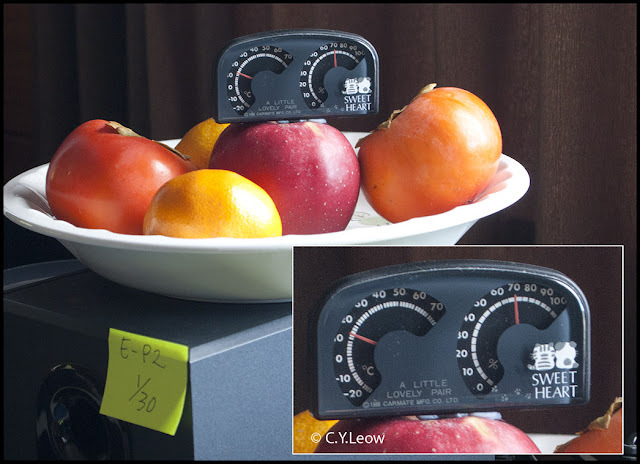 Good tip to keep in mind if you are shooting landscape. Let me share with you a trick that I used years ago to hold the camera steadier, I call it the "Neck Strap Assist" (NSA) method. Take a look at the two pictures below taken by Nigel where I demonstrate the technique. Thanks Nigel! You can see that I put the camera strap over my arm and by pushing the camera forward I created a steady "platform". 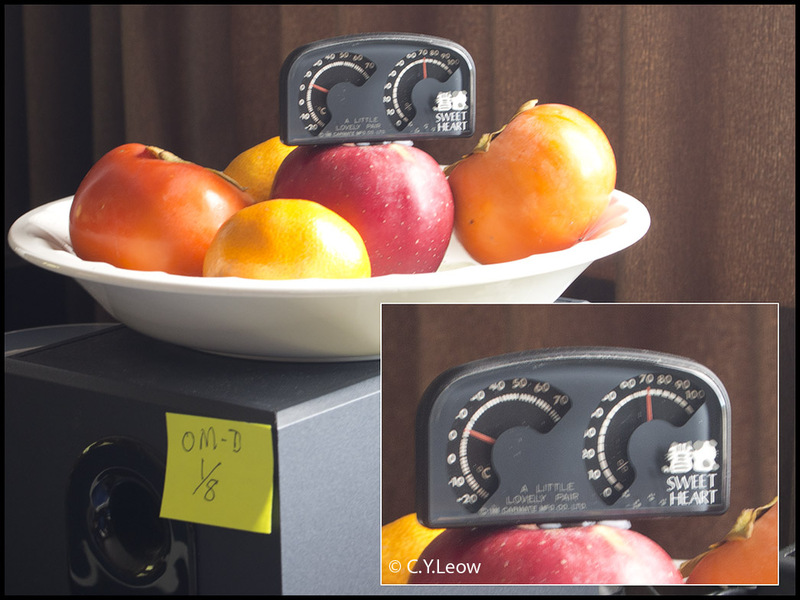 I have been getting good results with film cameras which were not stabilized. I suppose it will work on none stabilized digital cameras too. 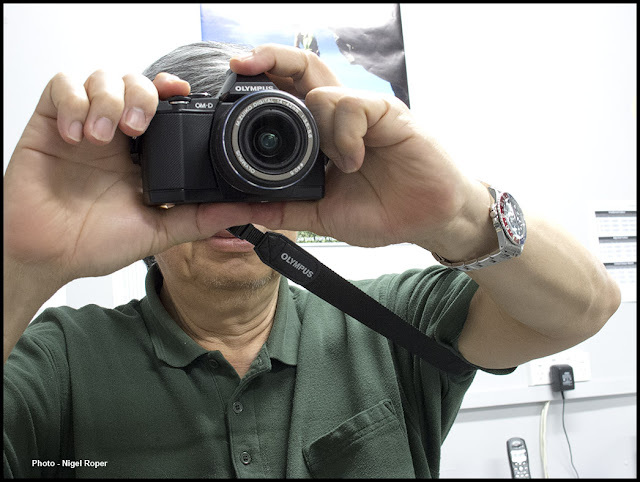 Image stabilizers are a marvelous invention for cameras and Olympus is leading the way to a better anti shake system for compact camera! Way to go Oly! OM-D E-M5 In Trouble @ Wellington City Library! I would like permission to use one of your photos in a blog post about the value of educational travel for students of history. 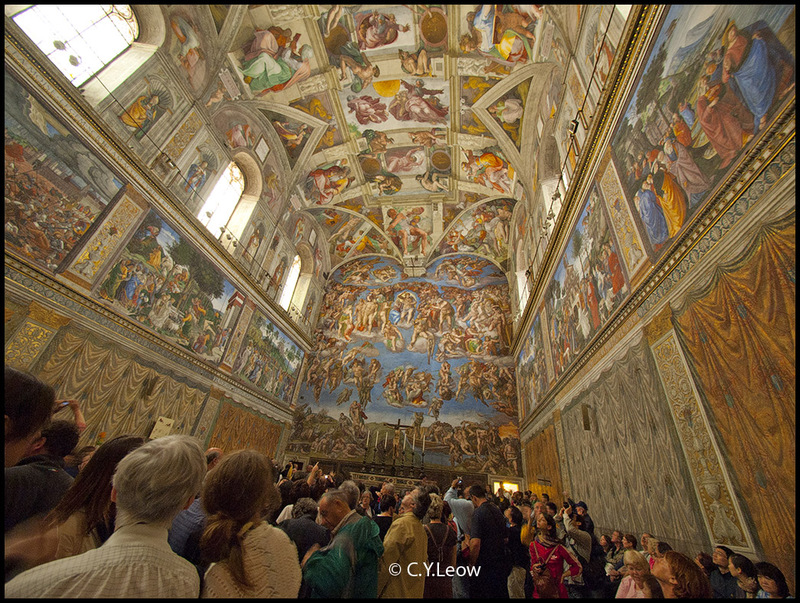 You have an amazing photo of tourists at the sistine chapel which would be an ideal image for this post. If I give full photo credit and a link to your preferred landing site, would you be willing to give permission?